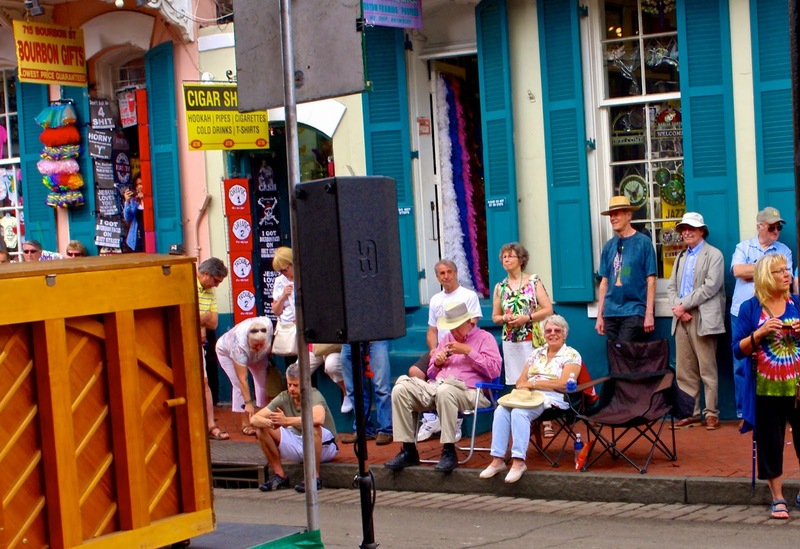 Champagne Wishes and RV Dreams: French Quarter Music Festival...the second time around! 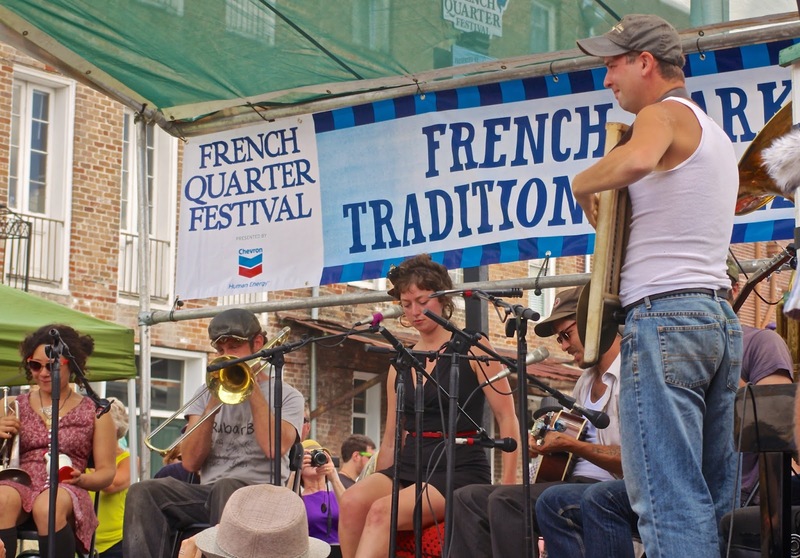 French Quarter Music Festival...the second time around! 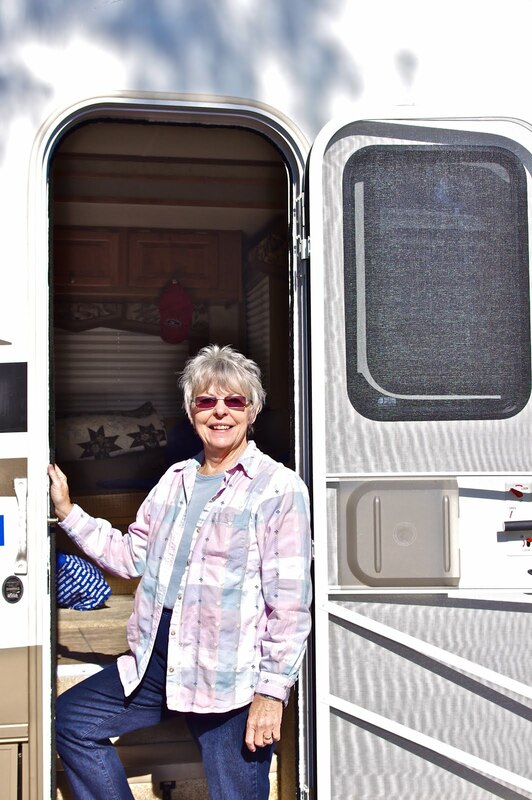 It was with great anticipation that Jack and I drove into the French Quarter RV Park that Thursday afternoon. It had been two years since we had been here and we have never forgotten our last visit! The first time we came to New Orleans, it was to coincide with a visit with some dear friends of ours while they were celebrating their wedding anniversary. 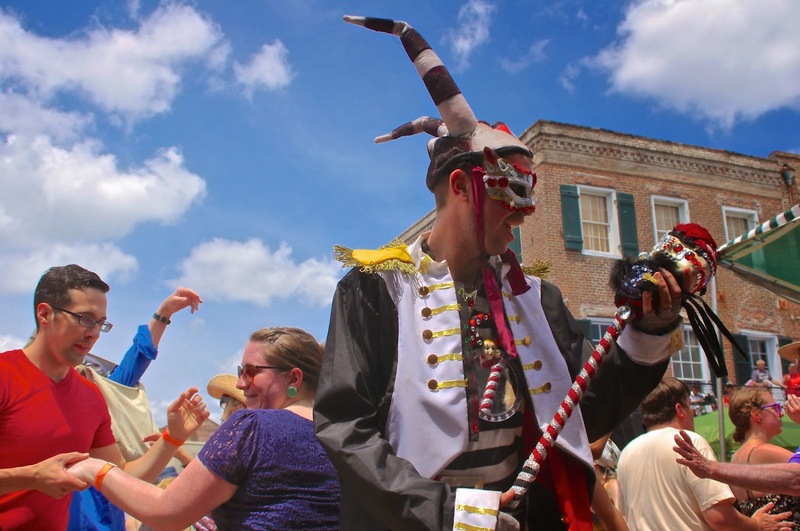 While here, we found out that the following weekend was going to be the annual French Quarter Music Festival, a free 4-day, full-on, 200+ bands of all kinds (well, mostly) of incredible music played throughout the French Quarter, how cool was that? 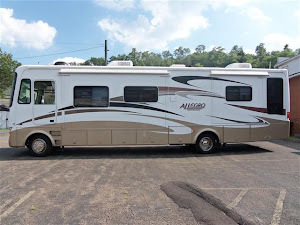 Well, we trotted right over to our RV Park and asked them if by any chance in heaven if they still had space available during this time, and yes, one! So we grabbed it! We soon fell in love...with the town, the food, the music, all of it, and vowed to come back again some day...and that day was today! It took us two years, but we made it! We settled in, freshened up, and took off to the Riverfront where we knew the action would be. We made a brief stop at the Visitor's Center to pick up a schedule, and headed out. 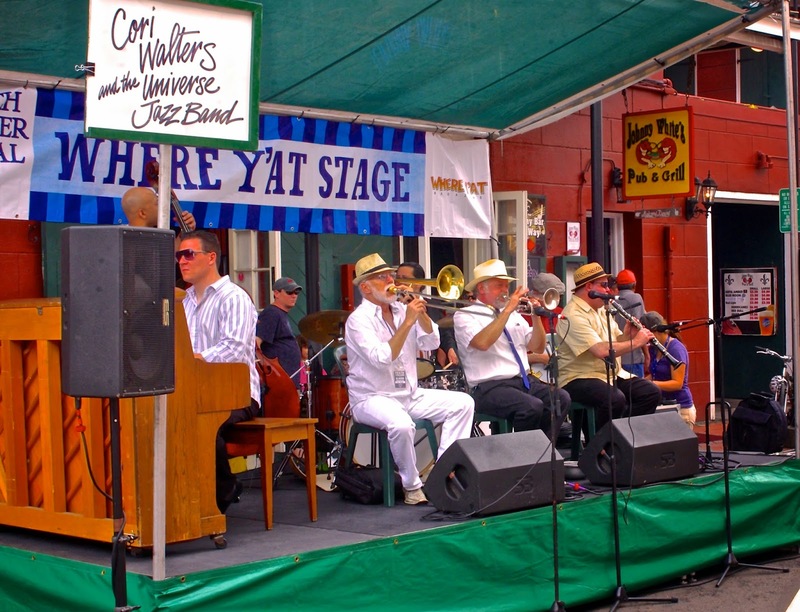 First stop, the Cajun Stage! My kind of music! I love it (more than Jack, even tho he likes it too). Once we got a spot and settled in, I went for food, I was starving, and had purposely waited to eat until we got there because I wanted good 'Nawlins food and I knew that's where I'd get me some! We started out easy with "Po boys", knowing I would have a chance to build up from there, and I wasn't disappointed, Yum! Having done my "research" we set out each day, chairs in hand. Was it my imagination, or did the crowd seem bigger this year? Hm mm Anyway, the weather was lovely, sunny with a nice breeze, so no complaints here. Having "done" New Orleans before, I didn't really even take my camera with me until the last day...I just relaxed and lost myself in the music and watching the dancers. They never cease to amaze and entertain me. There was one special young man that caught my attention this year though. A delightful 6 year old from Germany. He was here with his parents and grandparents. 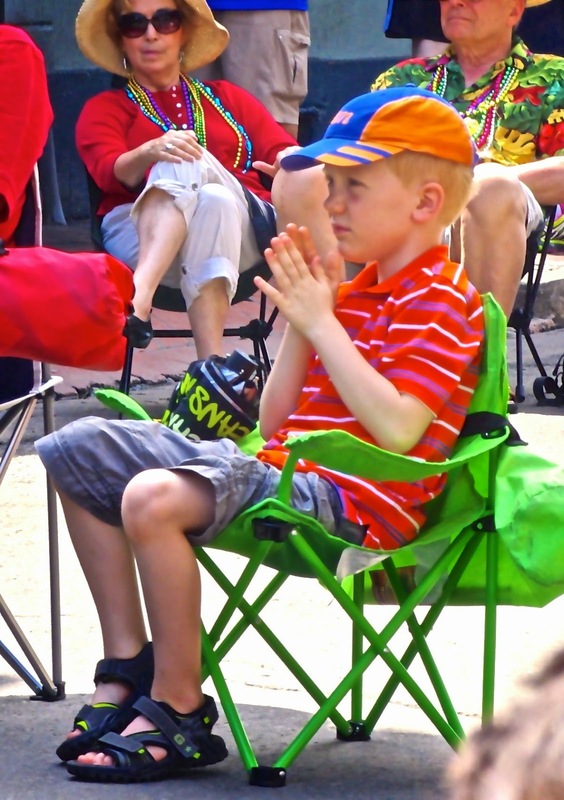 I first saw him while we were all enjoying Cori Walters and the Universe Jazz Band. Cori is a female drummer and I could tell he was mesmerized by her. He sat perfectly still for the full hour of her performance completely entranced by her! A 6 year old! The following day I ran into them again enjoying Fritzel's New Orleans Jazz Band, one of our favorite's from before, and again, there he was, entranced. That's when I went and talked with his parents and found out that he loves the drums (plays at home) and that one of the drummers had given him his sticks yesterday (much to his delight!) so he took them and began playing on a nearby can, much to the delight of the drummer! Later on, during the performance, the young boy, got up and went to his mom and asked her to dance! He was pretty good too! There was one other (fantastic) couple doing the Lindy that he watched and did his best to copy where he could. What a little man. In so many ways, looks, personality, age...he reminded me of one of my grandsons that it brought sweet tears to my eyes.